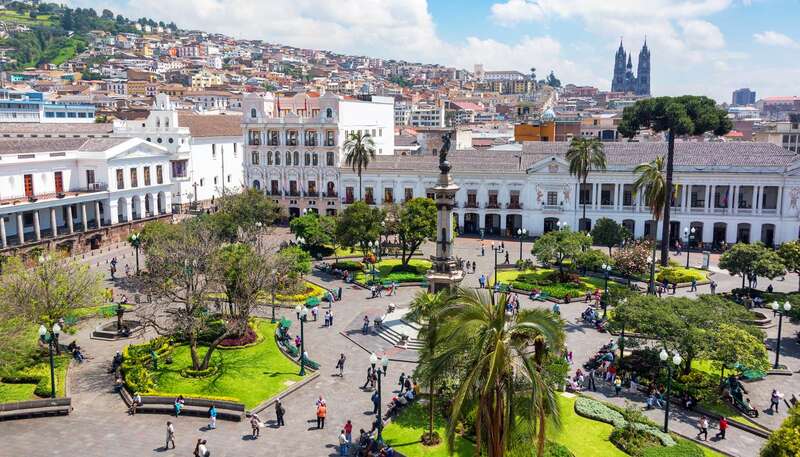 Once a stepping stone for the Galapagos Islands and a stopping point for the Amazon, travellers are now unearthing the colonial charm and cosmopolitan buzz of Ecuador’s proud epicentre, Quito. 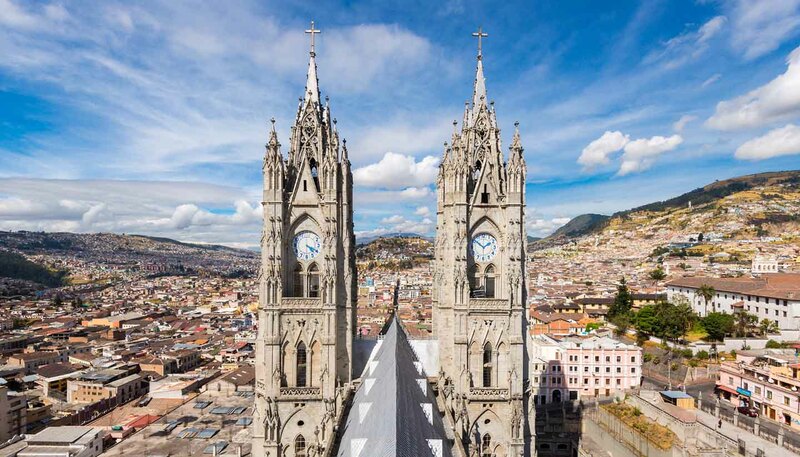 The crowing glory of a country that offers that rare fusion of jungle, mountain and scintillating coast, Quito was once a crucial, northern frontier of the enormous Inca Empire. Little remains today of the capital’s pre-Hispanic history, but the city raised from its ashes is still a wondrous sight. So immaculately-preserved in fact, its historical centre was one of the first places to receive UNESCO World Heritage status. Visitors are taken aback when climbing the steep, golden streets of the old town or when admiring the pretty, well-kept houses that have been turned into restaurants, shops and hotels. This city has more than 50 churches, chapels and monasteries to explore as well as some world-class museums. After all, this was home to Miguel de Santiago, the leader of the prestigious Quito School. Contemporary genius, Oswaldo Guayasamín, lived here too and his Capilla del Hombre is one of Latin America’s most treasured art stops. Quito is blessed with considerable natural beauty too. Built on the eastern slopes of Pichincha Volcano, it climbs to nearly 3,000m (9,843 ft) amidst the lofty Andes. From the old town rooftops, gaze across the peach buildings that crawl towards El Panecillo and its curious winged statue of the Virgin. Better yet, take advantage of the TelefériQo gondola for some spectacular vistas. Mariscal, the nucleus around which the city’s cultural life revolves, shows Quito’s willingness to combine colonial-age appeal with 21st-century efficiency. Its lively nightlife fills up with hedonists of all descriptions as the evening drifts in. It’s also home to Quito’s best restaurants, with some interesting contemporary takes on Ecuadorean cuisine and an emerging fine-dining scene. Visitors eventually leave for a volcano trek, or to the jungle, or even for a flight to the Galapagos Islands, but few regret having spent more than a paltry night’s rest in one of the most dynamic and historically rich metropolises this side of the world.